A delightful book, written and self-published by Melbourne GP Pietro Demaio, whose love of the food traditions of his native land is very obvious. His humorous anecdotes about his many culinary adventures in Australia and especially on his visits back to Italy made me laugh, and sometimes even made me cry. I loved the story about how he finally managed to foil his patients who regularly used to sneak in and steal the entire olive harvest at his Melbourne surgery just before he was due to harvest them. And wherever that island restaurant is, the one you have to swim to get to, I want to eat there. Although Dr Demaio, a non-swimmer, was thrown overboard attached to a rope and towed ashore. In this book, Dr Demaio covers everything you could possibly want to know about Italian home preserving, with not one, but about a dozen different ways of preserving eggplants for starters. 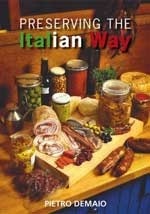 There are also sections on every other conceivable method of preserving Italian foodstuffs, including making sausages and the curing of pork products, and there are even detailed instructions on how to build a wood-fired oven. The only problem with the book is that it has suffered in the editing, and there are too many typos, but this glitch aside, it is a thoroughly enjoyable and very useful cookbook for slow foodies. 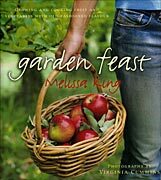 A great book for Australian gardening enthusiasts, from horticulturalist Melissa King and the team at Heronswood on the Mornington Peninsula, home of the famous Digger’s Club. Packed with great information and photos of unusual and heirloom fruit and vegetable varieties, with each section including simple but beautiful recipes from the Heronswood Café. Definitely one to leave on the coffee table and dip into periodically while fantasising about the drought ending so we can grow stuff again. 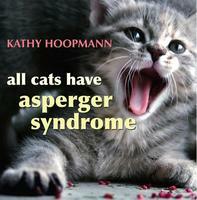 A very cute book which uses examples of cat behaviour (with accompanying colour photos on each page) to explain Asperger Syndrome, which it does succinctly and in a sensitive manner. 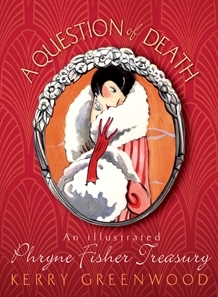 The book uses humour to explain a potentially difficult subject and gets the tone just right, avoiding being preachy or maudlin. Would be useful for explaining the condition to children or relatives who just don’t get it, and of course you can also enjoy it purely for the pictures of the gorgeous kitties. This is a seriously gorgeous cookbook, by well known South Australian cookery writer and TV presenter Maggie Beer. 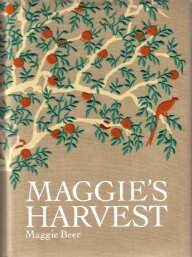 It collects together recipes from two of Maggie’s previous books, Maggie’s Orchard (1997) and Maggie’s Farm (1993), together with a great deal of new material. The recipes are arranged seasonally and are based around Maggie’s own favourite ingredients. They are predominantly inspired by Mediterranean cuisine, to match the Mediterranean climate of the Barossa Valley where Maggie lives and works. The recipes are generally easy to prepare, and let the ingredients speak for themselves. She also includes lots of useful snippets of information for serious foodies, such as where to source the growers and suppliers of the best ingredients, and adds interesting sections on such arcane kitchen arts as preserving, smoking and making one’s own vinegar. Just fabulous, and one of the most beautiful cookbook covers I have ever seen (although keep it well away from any kitchen mess).